Explore maps of the US with overlaid parcel boundaries and attributes of over 149 million properties in over 2,900 U.S. counties covering over 97% of U.S. population. Hover over a property to instantly discover details, including owner, address, and APN. 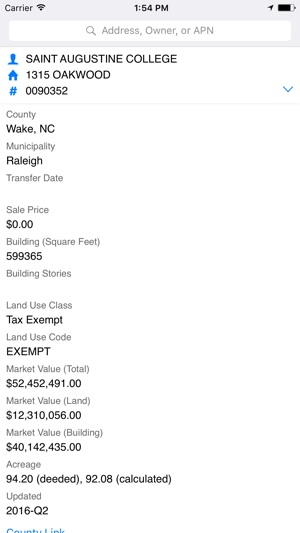 Simply tap any property's description to display even more parcel attributes, such as acreage, market value, and land use code, where available. 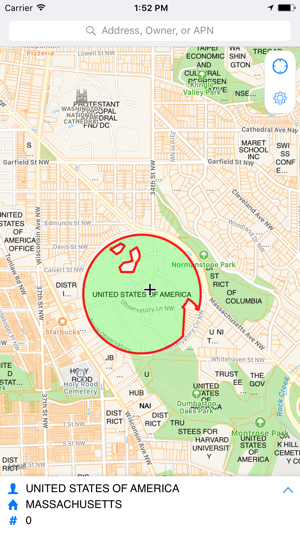 Search Real Estate Portal USA's national parcel dataset using owner, address, or APN keywords. 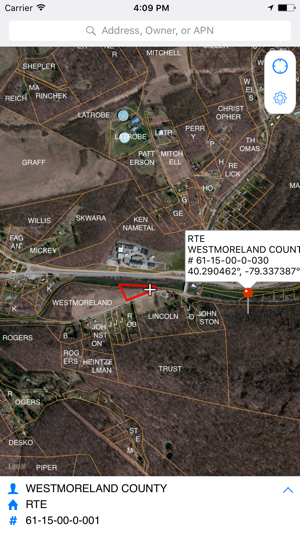 Track your location in real time over property boundary lines using your device's GPS. Drop pins on the map to save your favorite locations, then add notes and export them for further analysis. Try LandGlide free for seven days! At the end of your free trial, choose to subscribe monthly for $9.99 or yearly for $99.99. If you choose to subscribe, payment will be charged to your iTunes Account at confirmation of purchase. Subscriptions will automatically renew 24-hours prior to the end of the current billing cycle of your choice (monthly or yearly). Manage your subscription settings on your device's Account Settings. Bug fixes, user interface improvements, and better support for offline use. The neighbors behind us have been cutting down trees And I was hoping this app would help me with the lot line once and for all. I have the surveyors plat map but cant read it... i loves how the map navigates as I walk, however the overlay lot lines are wrong!! According to this app, half of my house belongs to the neighbor. I know this isn’t correct, because although I can’t read the plat map, i can see the boundary lines are clearly not over my house! Good idea, needs better execution. 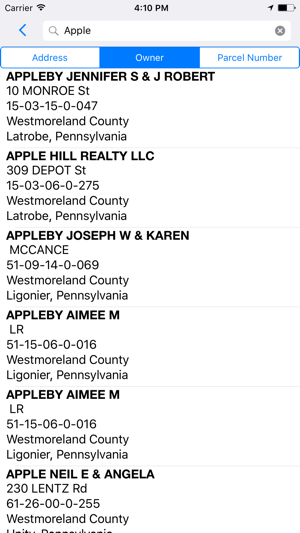 Hello Aryn, Please email your location including county and state to ios-support@landglide.com. We will look into the accuracy of the parcels lines. Thanks! Glad to see that you guys made changes to the pins. It’s great that I can edit them individually and don’t have to worry about erasing them all with a slip of my big thumbs. I would really love to see you guys add a measuring tool in this app. It would be great to be able to measure distance and area in app. Also maybe to write, draw, insert shapes like a radius, insert text. If you could merge LandGlide with Planimeter, Wow! And to Aryn Amber, hire a surveyor. LandGlide is not a surveying app although someone with a little surveying knowledge could use it to find corners and lines. If you don’t know where your corners are then you should call a surveyor. Everyone should know where their property corners are and have them clearly marked. The data behind LandGlide is always a priority to us, and occasionally an update or recent addition may cause some users to experience a change in property details. We are currently working on restoring owner information for Robeson, NC. The idea of this app is slick, I like the scrolling feature and instant info. But the execution is subpar. Look, I see I’m not the only person recognizing this problem either. There are people all across the US reporting this same problem. For the record I’m in Ohio. What’s happening is owner info is WAY outdated like years. The developer responds and says where are you we’ll update your area. Well dude the information in the app is unreliable the only reason we know it’s outdated is because we aren’t taking your word for it and cross referencing what we already know about the area. I’m not paying to have to ask you to update my area every time I go to use this app. The developer needs to step their game up here especially because this is only available as a PAID subscription. It is NOT worth my money. Sorry. I’ll just go check the old fashioned way for free. County auditor webpage. The data behind LandGlide is a priority to us. We update 90% of our data annually and 70% more than once a year. When you tap the summary information for a parcel at the bottom of the screen details with more information about that property will show, including the latest update. 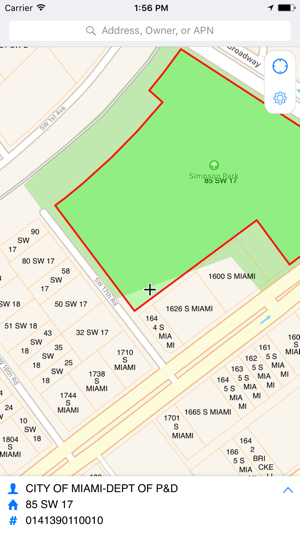 In most cases we can link directly to the parcel information to the county assessor for comparison.